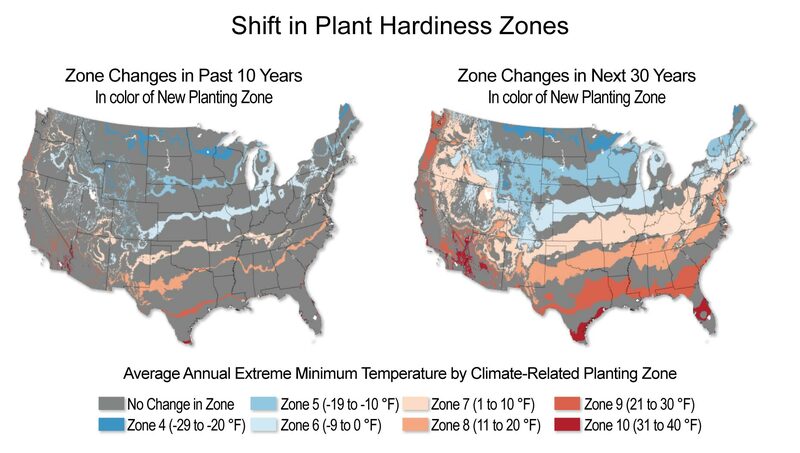 Figure 33.31: The map on the left shows the change in Plant Hardiness Zones calculated from those based on the 1971-2000 climate to those based on the 1981-2010 climate. Even greater changes are projected over the next 30 years (right). (Figure source: NOAA).